Newest innovation lighting system, high stability, extreme high efficiency and high power, precise lighting aiming, high efficiency thermal system, built-in anti glare system. We have a variety of LED lighting to suitable for different requirement, as the size, the extent of the reflective of the ground, nearby lighting, and acceptable brightness of residential neighbors etc. 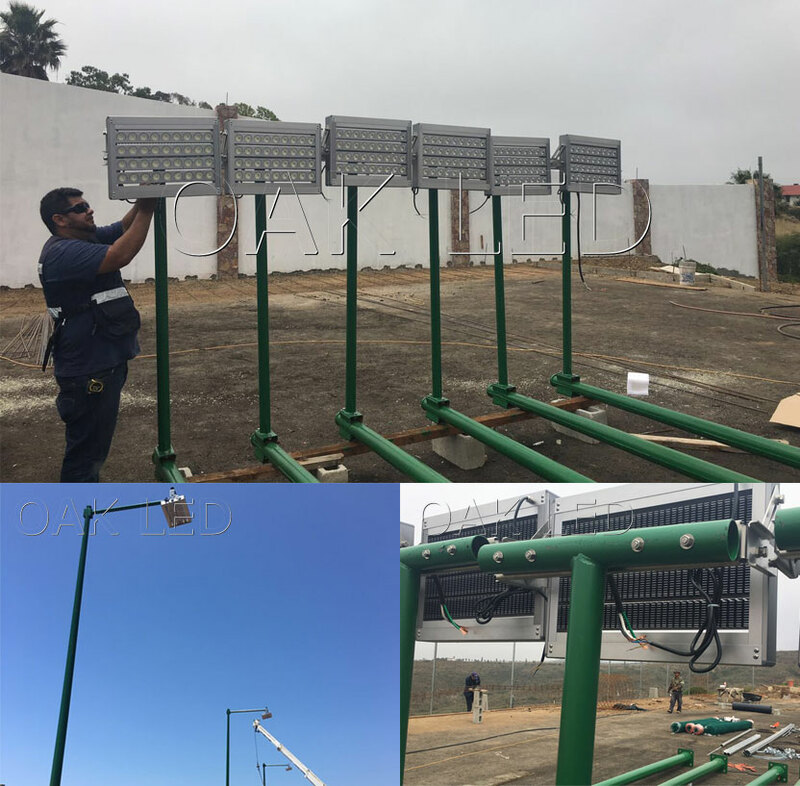 Since tennis courts have tight dimensions, a typical playing area for a single tennis court is 60 by 120 feet, OAKLED can provide LED tennis floodlights that illuminate courts according to any standard, for single tennis courts as well as multiple courts in a cage. For tennis court LED lights, OAKLED can take care of all your LED lighting needs. C). CREE original COB, highest stability. H). Lighting efficiency: up to 170 lm/w.